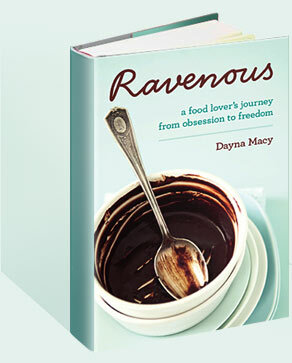 2011 September — Dayna Macy, author of "Ravenous"
He tells me that he was treating a patient for hoarding, which is on the OCD spectrum, and, which sometimes is also paired with with agoraphobia. He had to climb over boxes and bags filled floor to ceiling to get into the house. There was literally no room anywhere. No place to sit. No place to really live. I had this image of a person living in a stale, stagnant room with stuck energy. A life frozen in time. A fearful life. Stuff can own us. Not only having it, but continuing to devote immense hard work it takes to keep acquiring it. One thing I’m learning from shopping in my closet is to enjoy what I have, and by doing so, I’m also respecting the time, energy, and hard work it took to buy it. Time is precious. And, in this lifetime, finite.